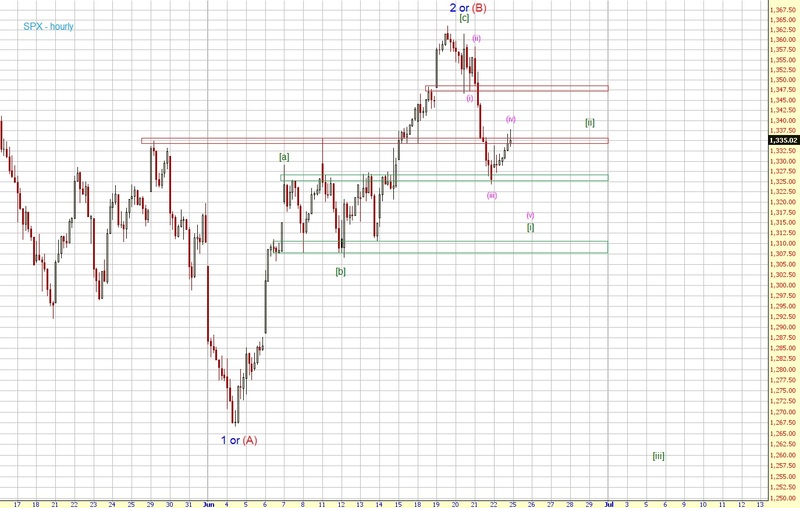 As said in my big picture update, if 1326 is breached, we could see a decline to 1200. The 1326ish level was first tested on Thursday which resulted in a bounce on Friday back to 1335ish. The futures sold off during globex, so we should get the second test of the support level at 1326ish today. 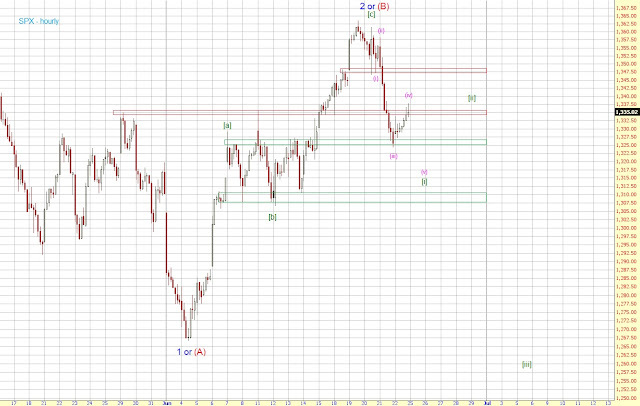 Resistance is at 1335ish, next support after 1326 is at 1307-10.